James Otto performed at the California’s AIDS Walk fundraiser on Sunday, September 26 at Los Angeles’ famed Greek Theatre. 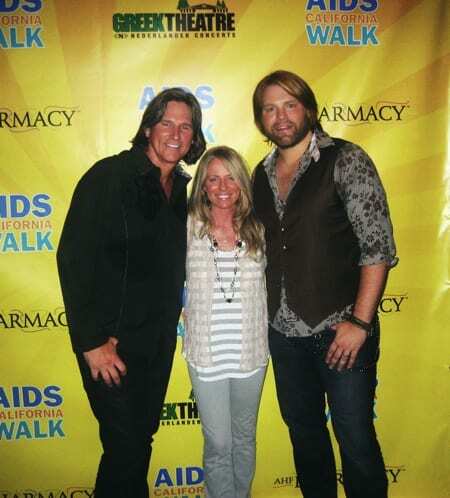 He played in a songwriter round with fellow Nashvillians Deana Carter and Billy Dean. Craig Campbell made his first music video recently. The video for his single, “Family Man,” was shot in Nashville by Shaun Silva and stars Campbell’s daughters, Preslee and Kinni. Campbell makes his debut at the Grand Ole Opry on Friday and his first album will be released November 30. Mel Tillis, Mickey Rooney and friends. Last week Mel Tillis traveled to New York City for the first time in 22 years to promote his new comedy album, You Ain’t Gonna Believe This. 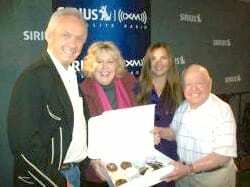 The Country Music Hall of Fame member visited Sirius-XM radio, where he ran into Hollywood movie legend and old friend Mickey Rooney, who was in-studio celebrating his 90th birthday. Rhonda & The Rage made several appearances in New York City to celebrate the release of Taken, which debuted at No. 2 on the Billboard Bluegrass chart. On the release date, 9/21/2010, they performed in Times Square then made their way to the Empire State Building’s 86th floor for a CD release party with fans and press. Rhonda Vincent and The Rage atop the Empire State Building.